Where to Buy Activated Charcoal Powder, Activated Charcoal Dust Powder Decontamination Agent - 50 Lb - $119.95 for Sale with Fast Free Shipping! Activated Charcoal Dust Powder Decontamination Agent - 50 Lb is an all purpose charcoal dust powder. Activated carbon is a porous material that removes organic compounds from liquids and gases by a process known as "adsorption". In adsorption, organic molecules contained in a liquid or gas are attracted and bound to the surface of the pores of the activated carbon as the liquid or gas is passed through. 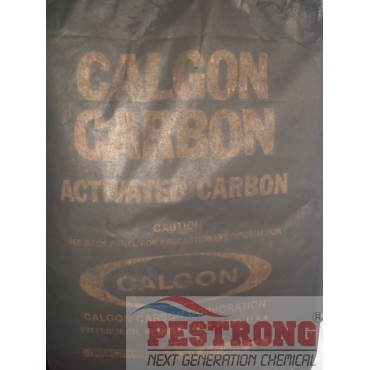 We, Pestrong.com, may ship other brands of activated charcoal dust powder depends on current stock.